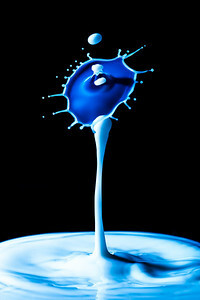 I love the forms milk achieves during a drop collision. This time, something resembling a flying saucer appears on the top of the spire. Is it landing? Is it taking off? Do you like this photo? Get Your Print or Get It as a wallpaper. While this was not the exact form I was looking for, I am very pleased with this photograph and feel that it is even better than the original idea. The idea was to get a collision separated from the milk column but the extra drop on top is a great addition to the final composition! Do you like this photo? Get Your Print. With a bit of imagination, this collision clearly resembles a man wearing an Asian straw conical hat. Or perhaps a sombrero. Do you like this photo? Get Your Print or Download it as a wallpaper. With this image, I wanted to get a perfect reflection on the collision and I wanted to capture it from an angle that fills the entire frame. Do you like this photo? Get Your Print. 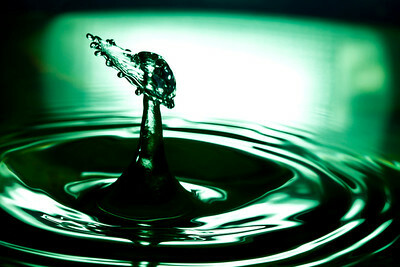 Every time a drop falls into a liquid mass, a spire of liquid emerges from the depths. 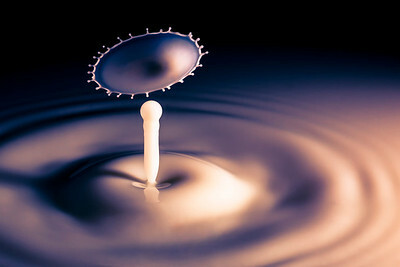 After a brief moment, gravity consumes the spire and sometimes a lonely droplet remains. Do you like this photo? Get Your Print or Download it as a wallpaper. 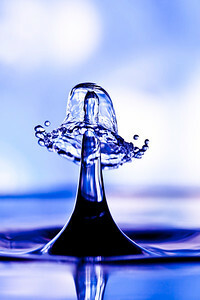 When a drop falls into a mass of liquid, it is immediately ejected and creates a column on the way up. With the right timing, you can release a second drop at this exact moment and the collision will create a flat disc of liquid.Do you like this photo? Get Your Print. I try to make the most of any free time and this time I wanted to try something different: simpler than other collisions I captured. Because sometimes less is more.Do you like this photo? Get Your Print . After a few days without using my camera, I decided to get back to one of my favorites subjects: water drops. 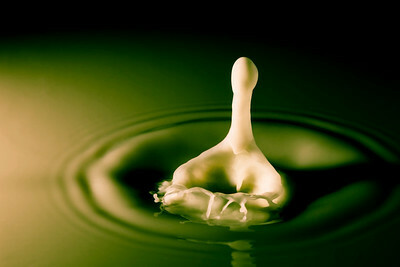 However in this instance, I used milk instead of water, and started shooting for unusual sculptures. Do you like this photo? Get Your Print or Download it as a wallpaper. I love capturing large drop collisions, especially when the circle is not touching the center column, like in this image. It is also curious to see the smaller reflection under the collision disc.Do you like this photo? Get Your Print. 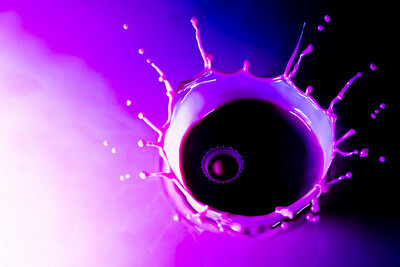 I wanted to capture a liquid crown and shoot it from the above to emphasize the perfect circle created during impact. 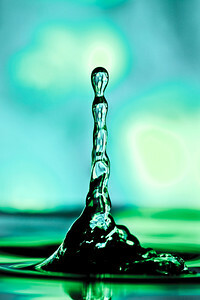 The surprise here this tiny little drop creating a smaller inner crown.Do you like this photo? Get Your Print. 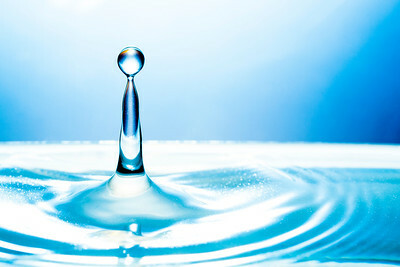 Water drop photography is not exactly a science and sometimes odd figures can appear from nowhere. I was playing with water thickness when this photo appeared in my viewfinder. 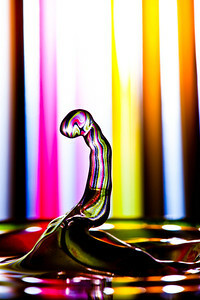 It resembles a snake, but liquid and colorful.Do you like this photo? Get Your Print. This shoot is one of the first collisions I photographed. I have been told it looks like a mushroom, a sunshade, and a nuclear blast. However, what I really like is the sharp contrast throughout the composition.Do you like this photo? Get Your Print. 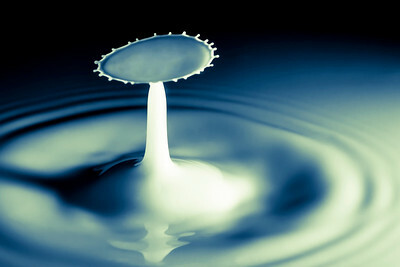 Each time a drop falls into a mass of water, an ephemeral spectacle of harmony and geometry starts. The ripples appear and disappear quickly and a tiny spire of water is launched to the sky. It is so fast that is difficult to see it with a naked eye, but lucky for us, using high-speed photography equipment, we can enjoy this hidden world.Do you like this photo? Get Your Print. Once more, I was experimenting with water drops. I wanted to create a sense of mystery here and by using my flash head directly, the composition works quite well.Do you like this photo? Get Your Print. I love the twisted shape of the column as the background slightly reflects it. Somehow, it gives me a deep feeling of calm and serenity.Do you like this photo? Get Your Print. This image is another drop of water falling into the sea and getting out faster than the blink of an eye, creating a beautiful liquid sculpture that is ethereal. One of the main reasons I love to shoot water drops is the challenge to find the best light for them.Do you like this photo? Get Your Print. 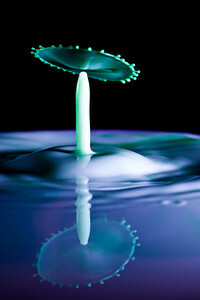 It looks like a mushroom made by water, doesn't it? 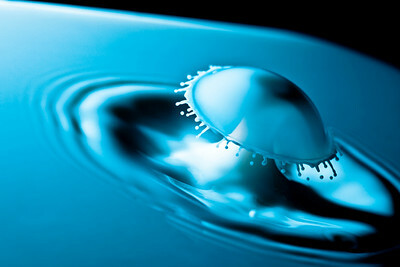 This is the result of a water drop collision. 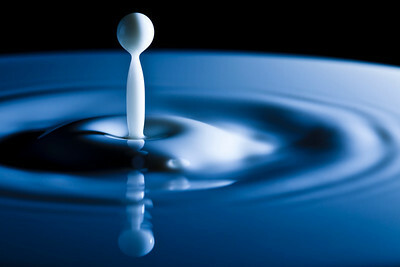 It starts with a droplet falling into the water, creating ripples and a central water column. 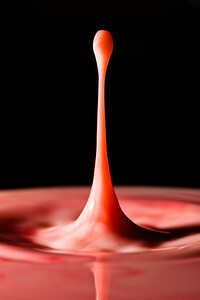 Meanwhile, a second drop falls and directly impacts the column, creating this beautiful shape.Do you like this photo? Get Your Print. 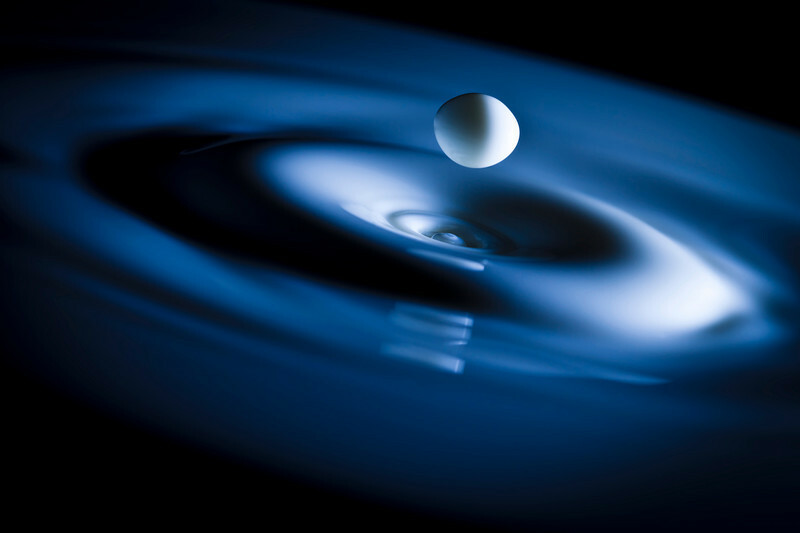 Every time a drop falls into a liquid mass, a spire of liquid emerges from the depths. 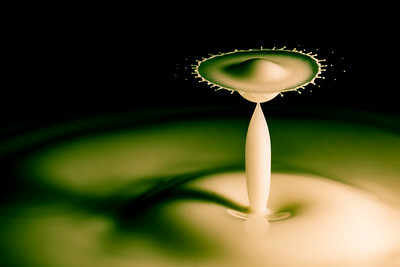 After a brief moment, gravity consumes the spire and sometimes a lonely droplet remains.